How do you come to terms with the trauma or bliss of a place? Where are the borders and curfews of a space? Where is me? Where is you? 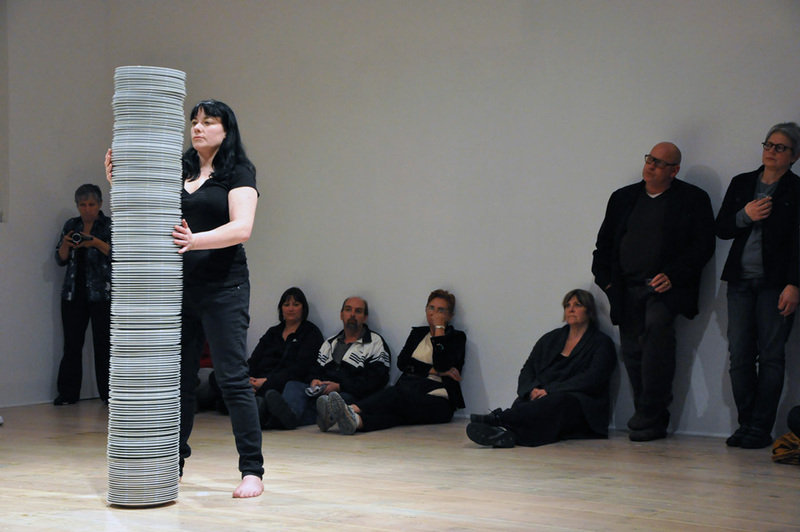 In the performance Chaos the artists rely upon evidence and actions, remembered and mimicked, to build installations in places and spaces that the audience bears witness to. 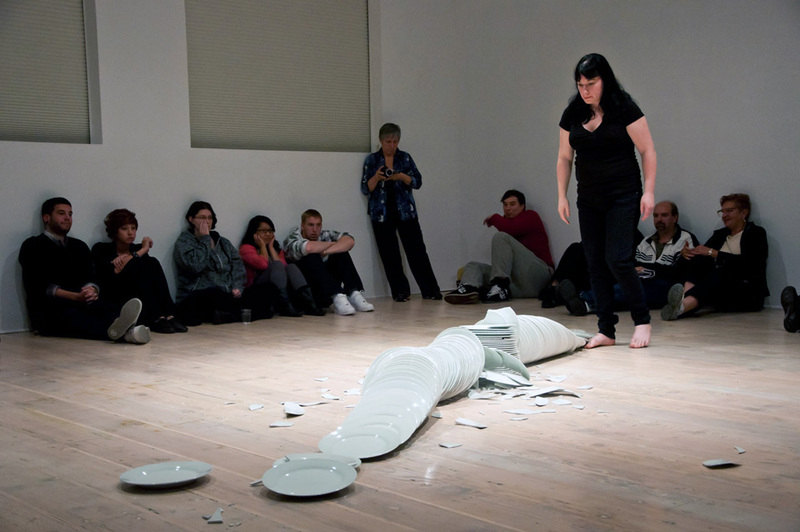 Sinéad O’Donnell agitated and caressed an unsteady stack of white china plates while a recorded voice, male and then female, repeated the word “VIOLENCE”. 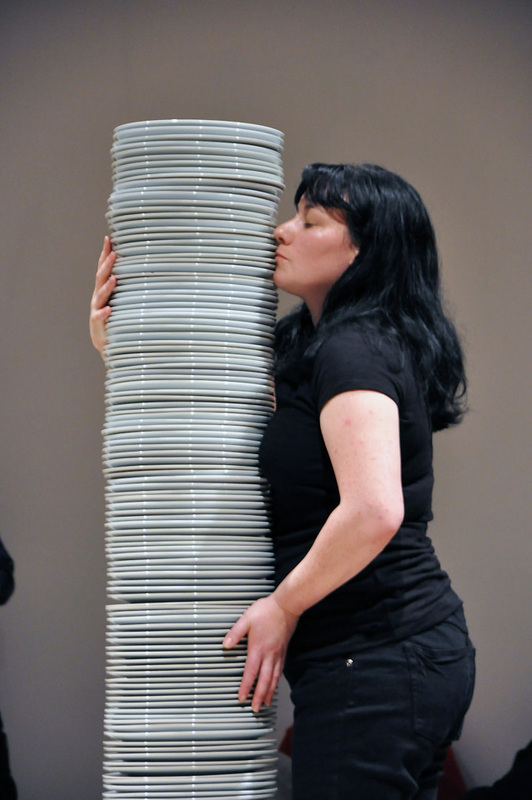 Forty anxious minutes later Sinéad walked away from the plates, without her compliance the stack caved. 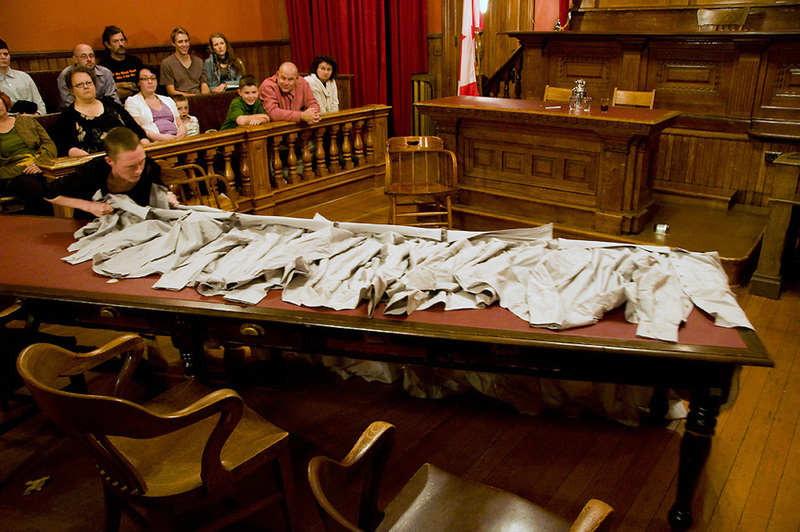 Sandra Johnston performed in a 19th century courthouse, like a ghost the structure and muscle memory of the place slipped into her. 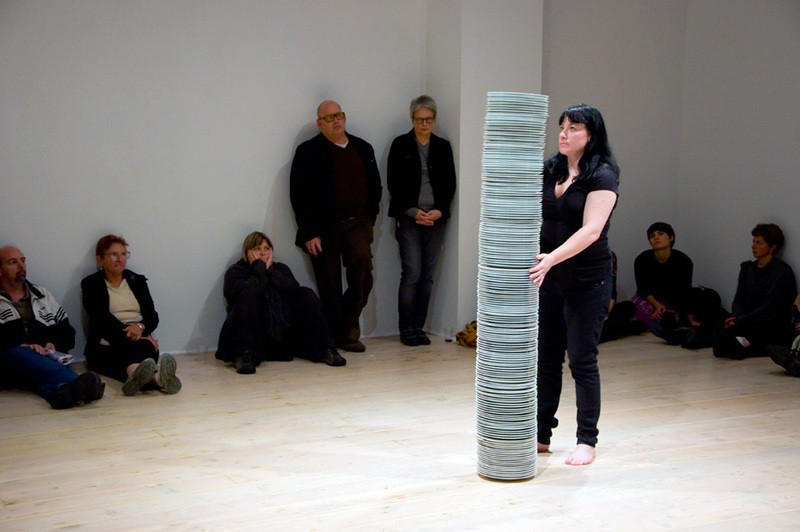 Sandra did not recreate stories but breathed in the evidence of the room, shifting and working with the things at hand. Pauline Cummins fried chunks of bread in an electric frying pan. The bread chunks resembled the silhouettes of little kids. The gallery smelled of rancid oil. 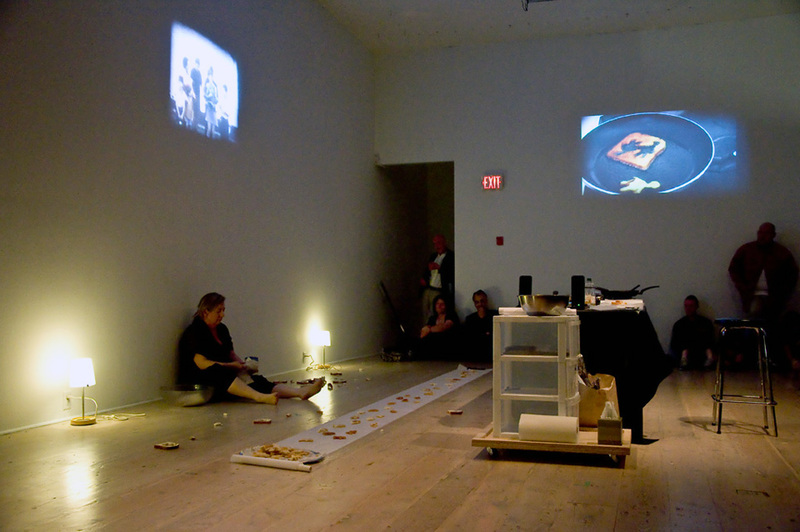 A super 8 film of a family gathering was projected onto a wall, a live feed of the frying bread burned on another. 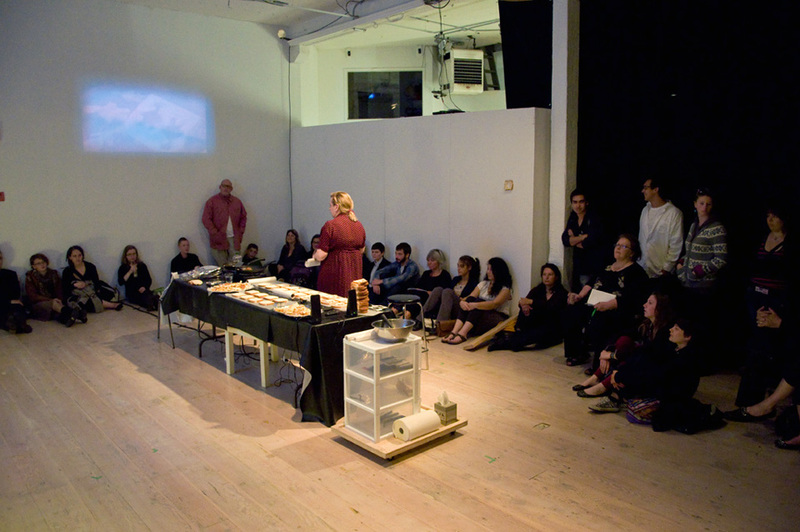 As Pauline cooked more and more bread kids for the audience what seemed a pleasant communal feast became a propensity of consumption. Poshya Kakl performed via Skype. She was in Iraq, at home in her bedroom. 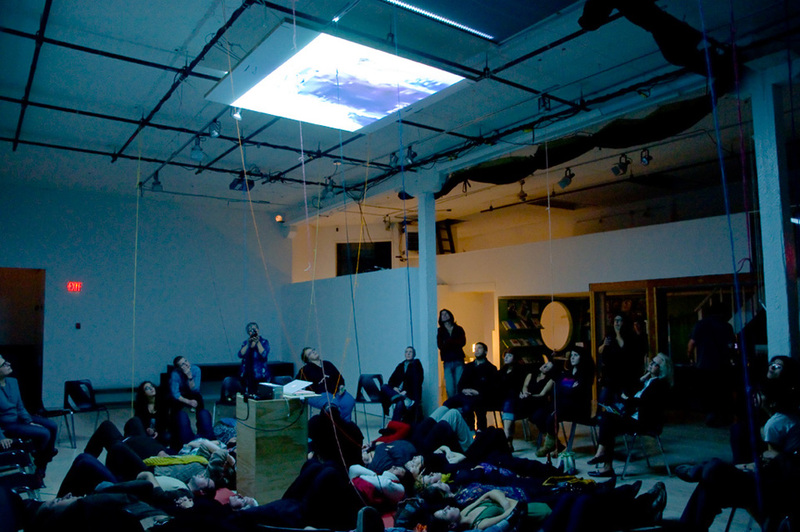 We were in Victoria in the gallery lying on the floor looking up at a data projection of her presence –slowly Poshya revealed herself by unraveling a mass of string that was wound around her head. When we lost the live feed, everyone groaned—applauded when we reconnected.